Clinch-Powell welcomes Virginia McGinnis to the family, at least for the summer. 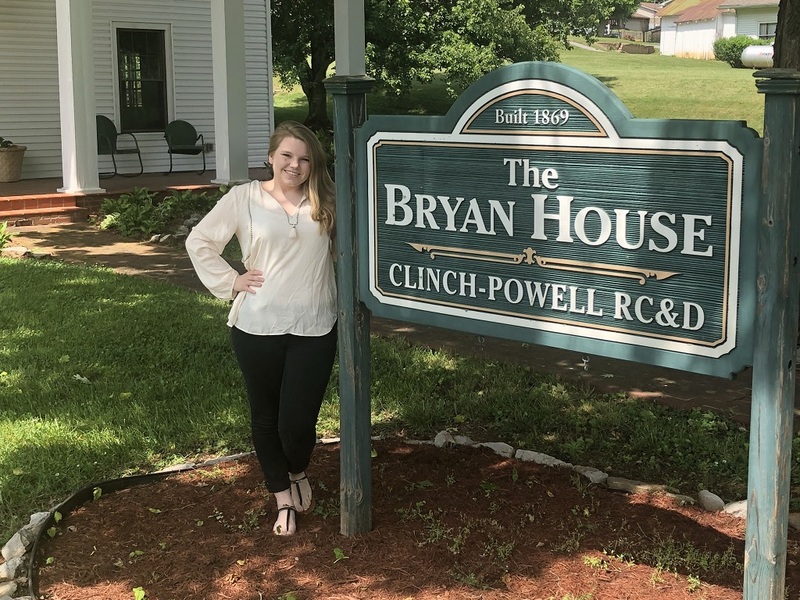 With funding through Rural LISC via Fahe, Virginia will be joining our team as a summer intern focusing on research for the development of new programs and expansion of existing programs. She is currently studying Business Administration at Carson-Newman University with an emphasis in management. Virginia was chosen as a 2016 Young Woman of Distinction in Chattanooga because of her volunteerism and passion for the community. She volunteered more than 1,000 hours of service with children, the homeless population and in lower-income urban areas. Virginia’s research during her time with Clinch-Powell will focus on a needs assessment and feasibility study for a new program, also funded through Rural LISC, to establish a Financial Opportunity Center (FOC) in the Clinch-Powell service area. This program has been implemented successfully in urban areas and Rural LISC has selected Clinch-Powell along with 3 other agencies to pilot similar programs in rural areas. According to LISC.org, FOCs are career and personal finance service centers that help low- to moderate-income people build smart money habits and focus on their financial bottom line. LISC has a network of more than 80 FOCs across the country, embedded in local community organizations that are trusted, known for their history of providing quality services, and convenient to where people live and seek out services. Rural LISC would like to introduce similar programs to more rural areas. Clinch-Powell is excited to be part of the initial process, and we are pleased to have been given the opportunity to have Virginia's assistance in research for the program. For more information on Rural LISC, visit http://www.lisc.org/rural.